An anti-drunk driving campaign is so horrifying it just might save people in real life. British advertising agency Leo Burnett London created a shocker campaign for the Department For Transport‘s THINK! campaign that is shocking enough it might just deter people from driving drunk. Filmed in a North London pub, THINK!’s #PubLooShocker was launched on the 6th of June 2013 and was created to show people the potential tragedy of drinking and driving. 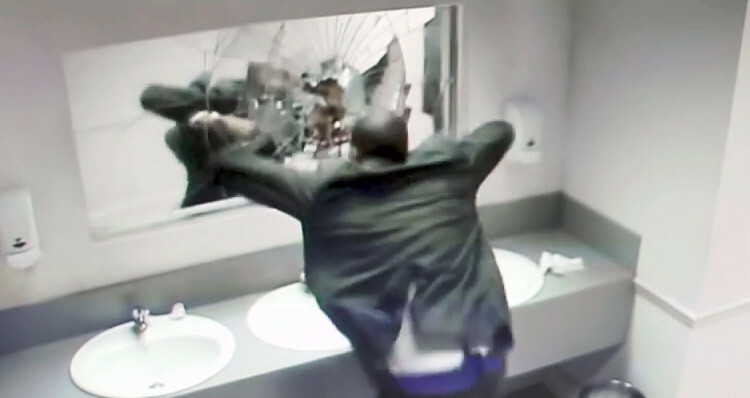 The campaign shows shocked visitors to the “Loo” at a local pub what it would be like if they were actually watching someone’s head hit the windshield – and it’s went viral. “In the last 50 years road casualties caused by drink driving have fallen dramatically, but in 2013, there were still 240 deaths due to drink driving – accounting for 14% of all road fatalities. By drinking and driving, you risk your life, those of your passengers and others on the road,” according to the latest statistics published in the U.K. by the Department For Transport’s THINK! campaign website. You can watch the clip below and be sure to let us know if you think it is effective.